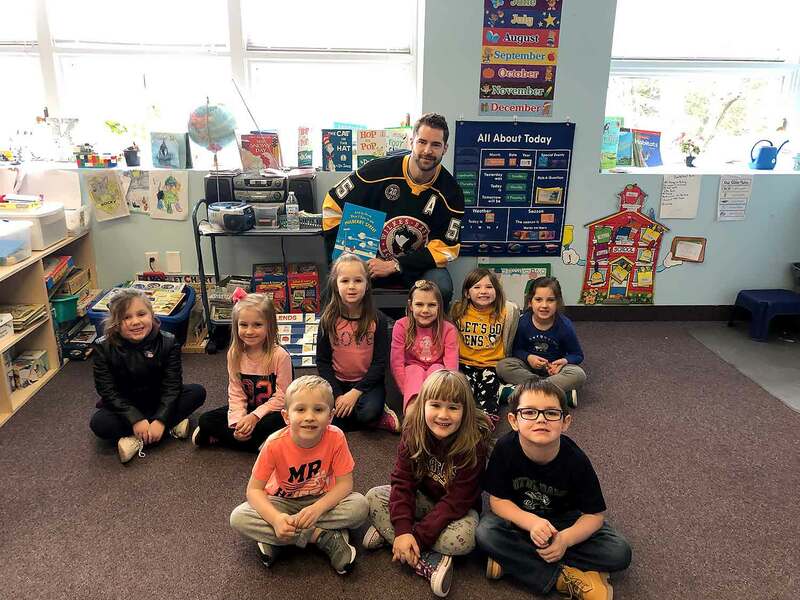 I’m Big Now Learning Center was proud and excited to have Chris Summers from the Wilkes-Barre Penguins visit our school. He was kind enough to read to each class for Read Across America Week. The books he read were I Saw it On Mulberry Street by Dr. Suess and Here We Are by Oliver Jeffers. The children were very excited to have a real life hockey player read a book to them while at school. It was a fun and educational time had by all. We thank Mr. Summers for treating our children to a wonderful afternoon!